In our last blog post we talked about how to become an armed defender. In this one, we’ll talk about the importance of training. The importance of maintaining and expanding your skill set with regard to armed combat is impossible to understate. Training can make the difference between a successful self-defense situation and a disastrous outcome. It can literally be the difference between life and death. Sergeant Plantinga knows that shooting skills can decay, and that constant repetition of various drills helps to make a person a better shooter and increases their chance of survival in a combat situation. Drills like tap, rack and shoot to clear a malfunction, how to clear stovepipes and double feeds, combat and tactical reloads, moving while shooting…all of these skills are necessary to give you an advantage over your adversary. 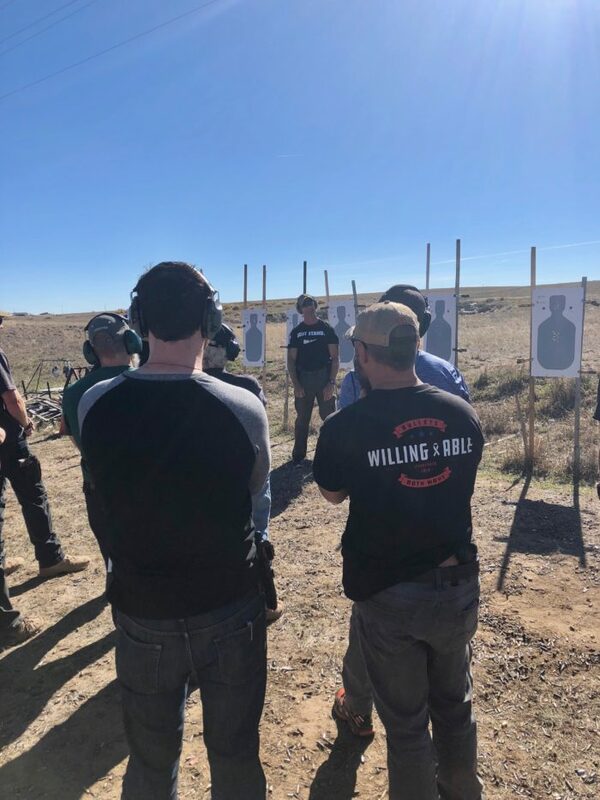 In the FASTER class I attended last summer, a group of police and SWAT instructors led us through these very drills and impressed upon me the importance of training. Another instance where training, or the lack thereof, is highly visible is in the Marjory Stoneman Douglas High School shooting in Parkland, FL in February 2018. The front line of defense – school staff – were inadequately trained on how to respond to the sighting of a threat. At 2:19 pm, a security monitor who was an unarmed baseball coach saw the shooter (I don’t use names or pictures of mass shooters) enter the high school carrying a rifle bag. He failed to pursue the shooter or to call a “Code Red” to lock down the school. Two minutes later, another unarmed security monitor spots the gunman, turns away, fails to call a Code Red, and subsequently a student spots the shooter, notifies another campus monitor, who also fails to call a Code Red. After the shooter started his murderous rampage, one of the campus monitors – who has a radio – ducked into a janitor’s closet but did not call a Code Red. From a newspaper report about the incident: ”School district policies were insufficient and employees were uncertain who could order that the campus be locked down”. Somehow, the fire alarm in the school went off. Because of the lack of training and the fact nobody called a Code Red, students came streaming out of the classrooms and into the hallways putting them at greater risk. By now, as everyone knows, the sheriff’s deputy assigned to the school, Scot Peterson, stayed outside and failed to enter the building to confront the shooter. Was this cowardice, as many believe, or a lack of training? In the wake of the Columbine shooting, police tactics changed from establishing a perimeter and waiting for SWAT to arrive to going in and engaging the shooter. However, at Parkland, the police failed to immediately do either. A lack of training for deputies and commanders led to confusion, chaos and uncertainty during the critical minutes that the shooting was taking place. In the ensuing minutes, lack of training contributed to an uncoordinated response by sheriff’s deputies arriving at the scene, causing them to fail to establish a command post or a perimeter, allowing the gunman to escape the campus. On the contrary, when nearby Coral Springs police officers arrived, they rushed into the building. Why? Because they were trained to do so. They later told investigators their training was clear – to run to the gunfire. Meanwhile, the shooter had left the school and gone to a nearby Walmart. This tragedy highlights a couple of important points. First, armed school staff could have prevented this tragedy. Second, improved training of school staff, students AND law enforcement could have prevented this tragedy or at least saved lives. This is why armed defenders, who are willing and able to stand between the innocent and those who would do them harm, benefit from continued drills, training and realistic practice. It’s why many police officers and NRA Certified Instructors offer training courses at local gun shops and ranges. If you are a concealed carry practitioner, we at Bullets Both Ways urge you to devote time and attention to your training. Your life could depend on it. The South Florida SunSentinel’s timeline on the Parkland shooting can be found here.